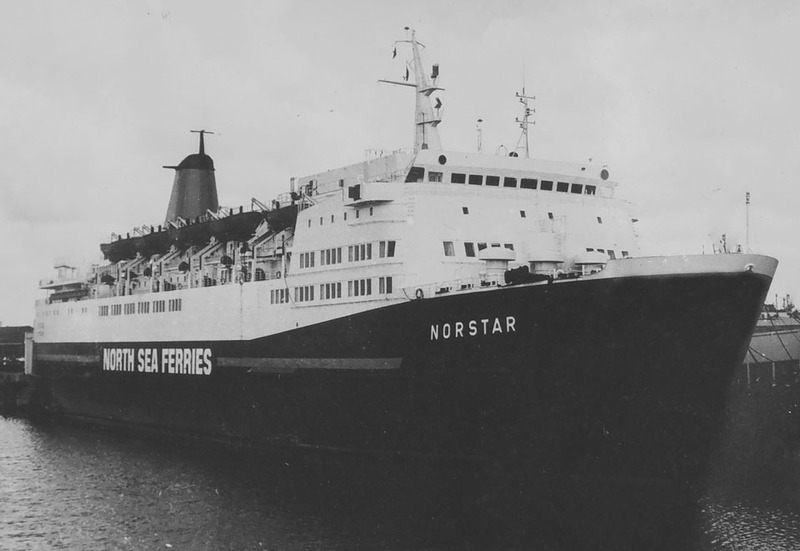 December 14th 1974: Delivered to Noordzee Verdiensten BV, Rotterdam, Holland. 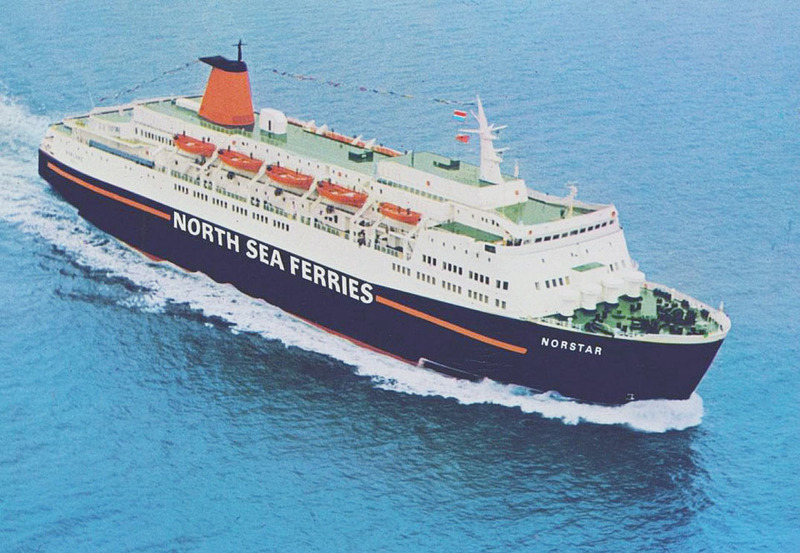 December 19th 1974: Commenced service between Rotterdam – Hull. 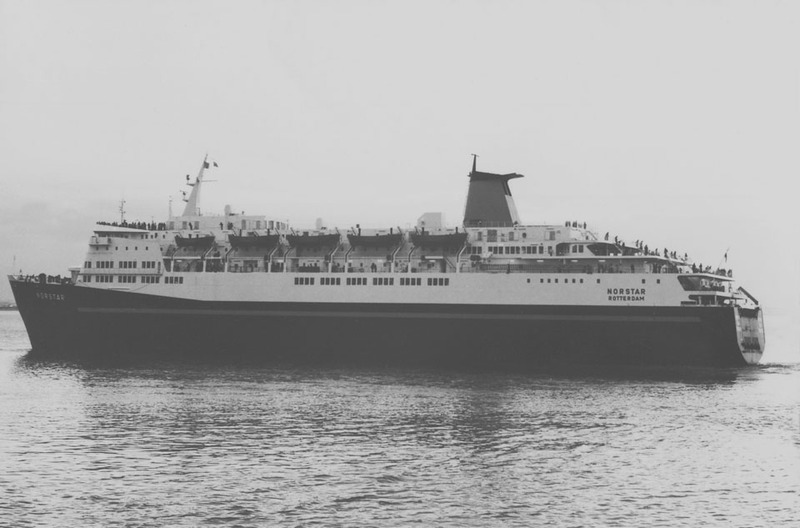 May 12th 1987: Arrived at Seebeckwerft, Bremerhaven, Germany for stretching by slicing and inserting a 20.5 m mid-section. 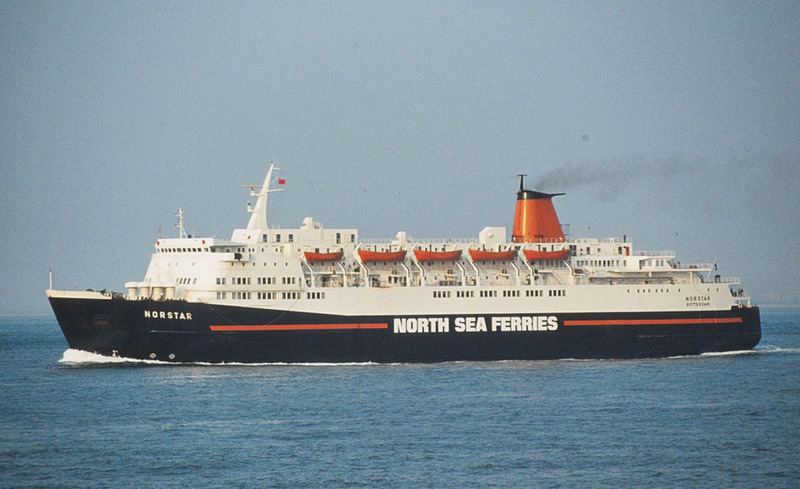 May 13th 1987: Work commenced on lengthening. 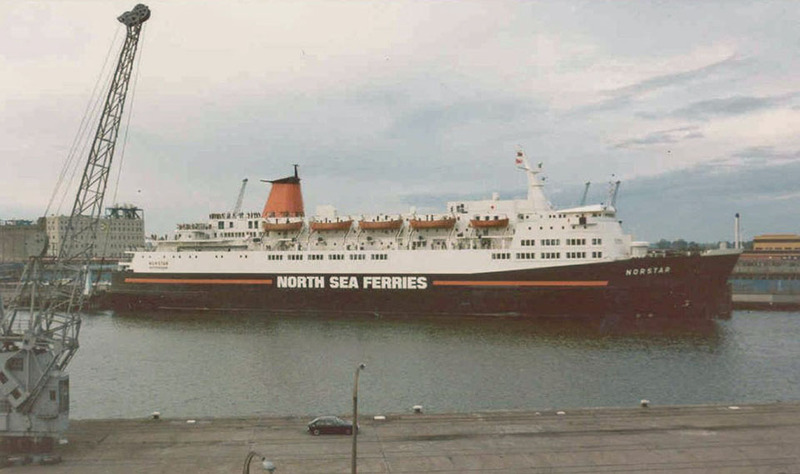 July 2nd 1987: Redelivered after rebuild. 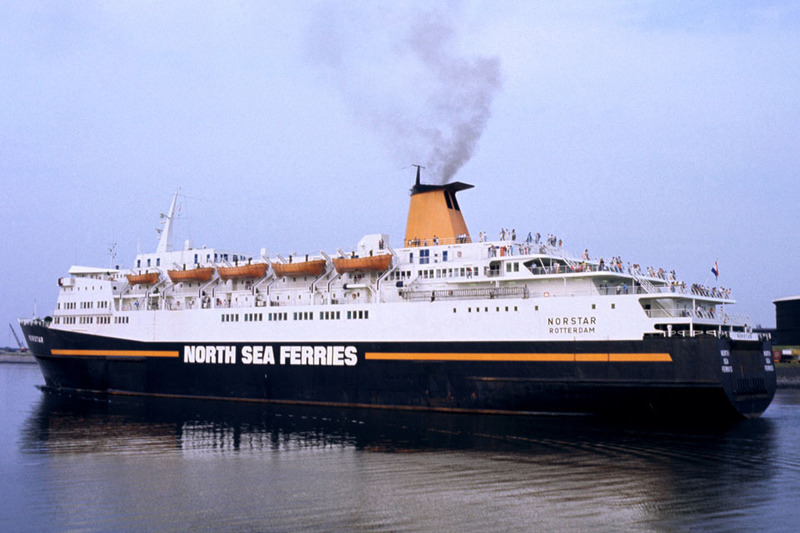 July 6th 1987: Commenced service between Zeebrügge – Hull. 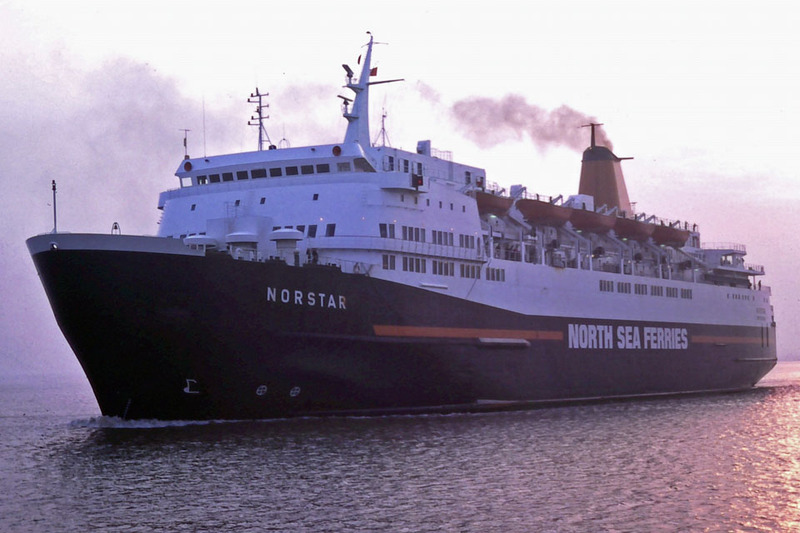 February 1994: Rebuilt according to Solas (International Convention for the safety of life at sea) regulations which forced a 15% cut in her freight capacity. 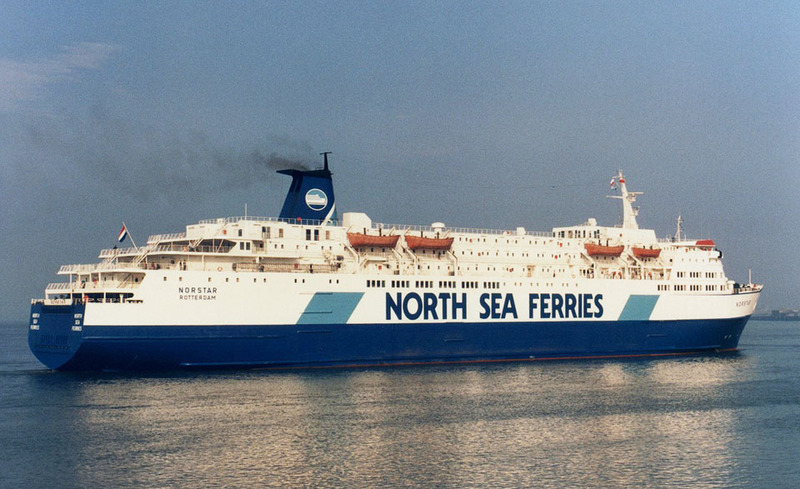 1998: Registered to P&O North Sea Ferries, Rotterdam, Holland. 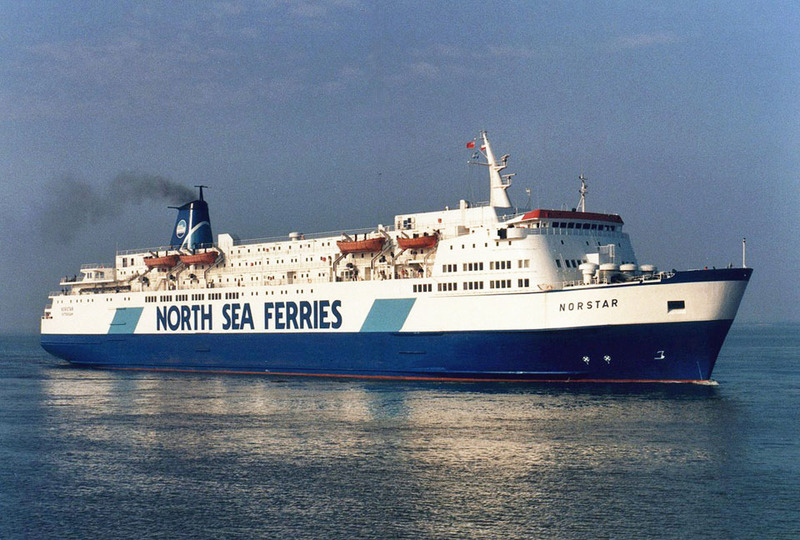 March 11th 2000: Suffered engine failure whilst en route from Hull to Zeebrügge. Towed away for repairs. 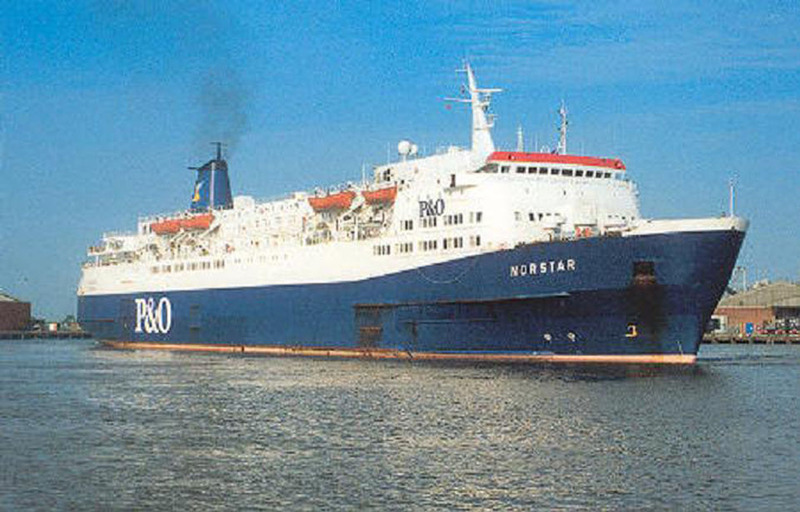 August 2nd 2001: Laid up in Zeebrügge. 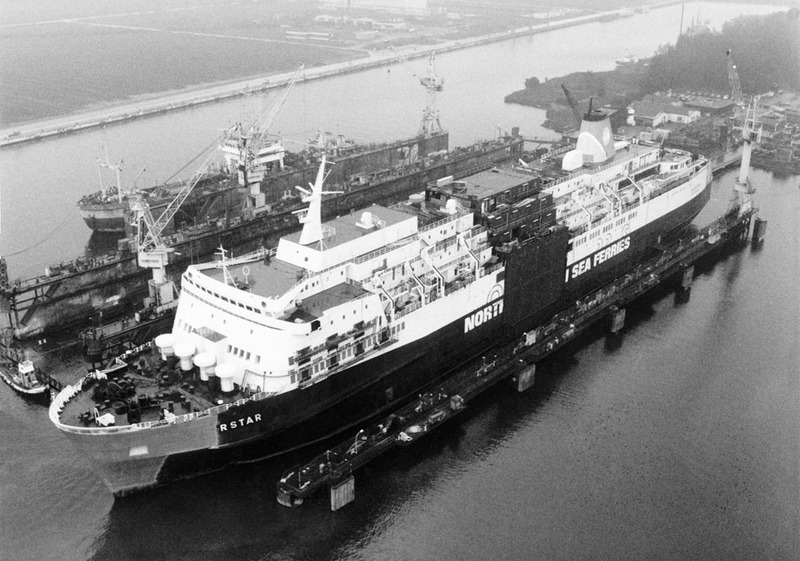 December 2001: Arrived at Scheldepoort Shipyard, Vlissingen. 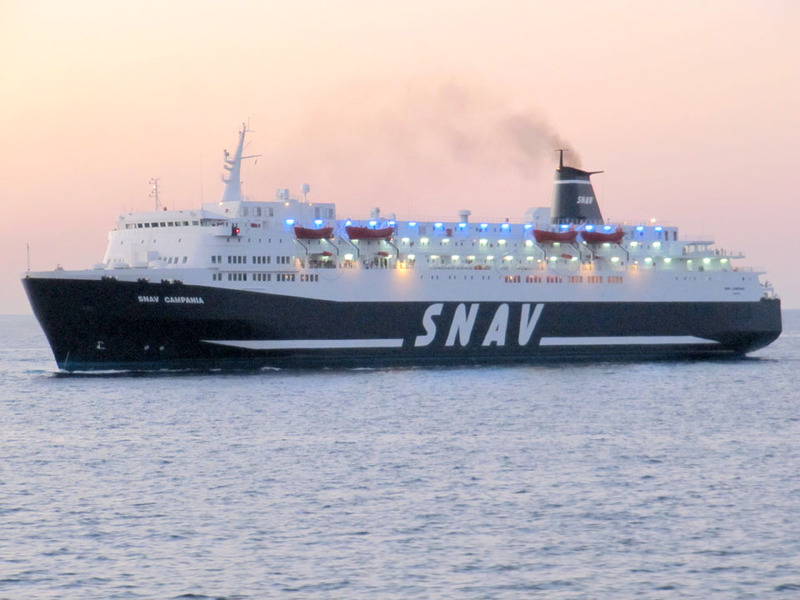 December 2001: Sold to SNAV Aliscafo, Panama. 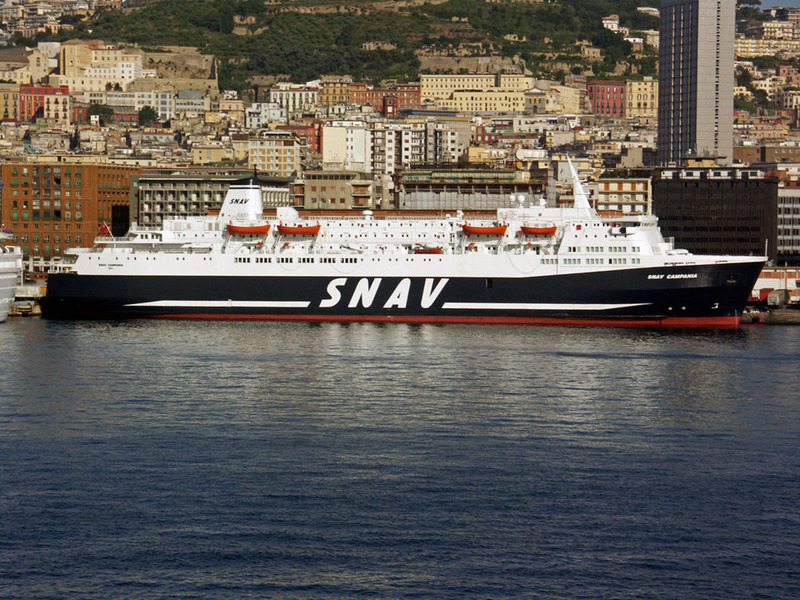 Renamed SNAV CAMPANIA. 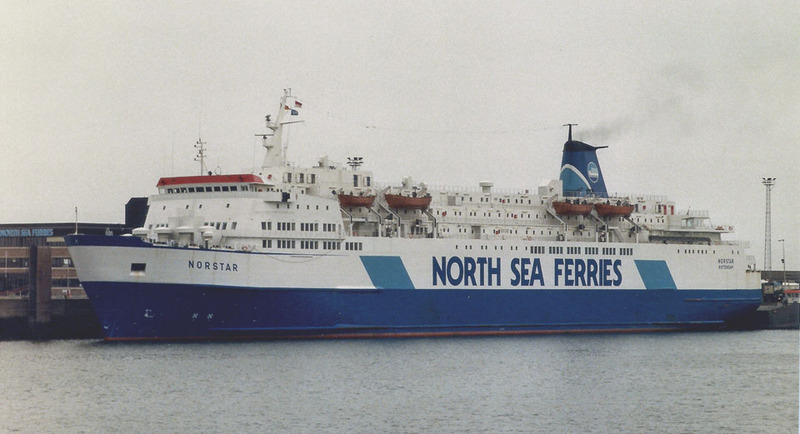 January 19th 2002: Left Vlissingen. Registered in Hull, England. 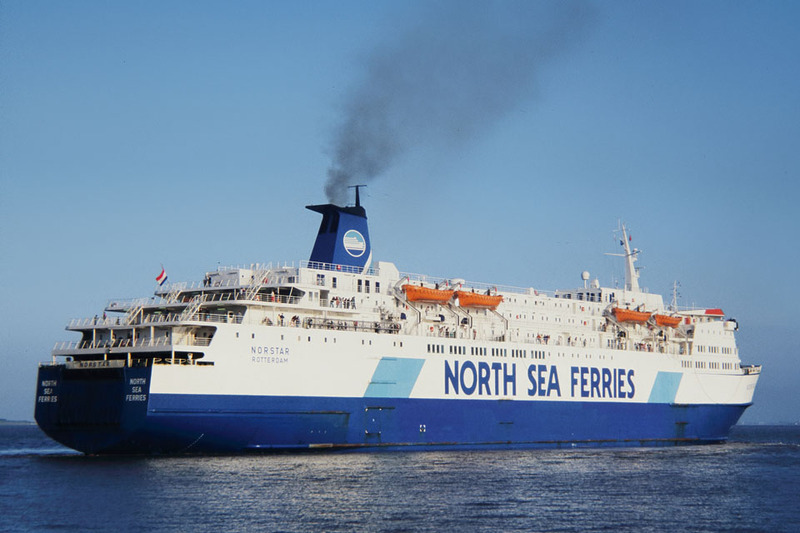 March 25th 2002: Commenced service between Naples – Palermo. 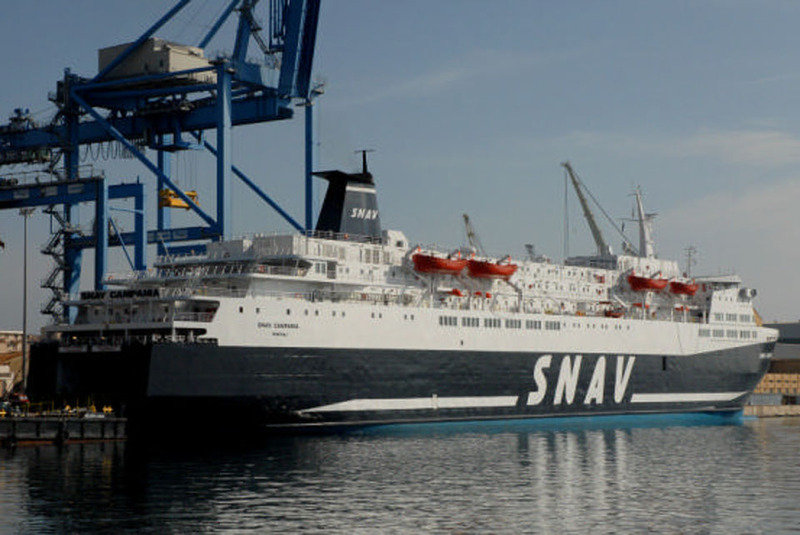 November 2006: Registered to Jetmarine Line S.p.A, Naples, Italy. June 2007 – September 30th 2010: Services between Naples – Palermo. October 1st 2010: Arrived at Naples and was taken out of service. Left Naples for Palermo. October 2nd 2010: Laid up in Palermo. October 2010: Sold to Indian breakers. October 14th 2010: Left Palermo for Jeddah. October 24th 2010: Left Jeddah for Alang, India. November 1st 2010: Arrived at Alang. November 9th 2010: Beached at Alang. All information is believed to be correct and no responsibility is accepted for any errors or omissions. All items included in this article are subject to © copyright. We would like to take this opportunity of thanking: Tim Becker, Hans Deijs, Phil English, Brian Fisher, Mike Griffiths, Frank Heine, Patrick Hill, Pieter Inpyn, Emmanuel L, Lucas Latreche, Capt Jan Melchers, Joerg Seyler, Simonwp and Andreas Wörteler for their assistance in producing this feature.